After having multiple requests to re-lamp an M18 with a 1200w HMI globe for house power, on-location work, I decided to write this blog. 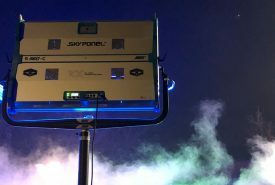 There are three factors to consider when choosing between an ARRI M18 verses a Joker 1600w – Power consumption, portability/handling and brightness/quality. Power consumption is the most deciding factor when working with house power on location. 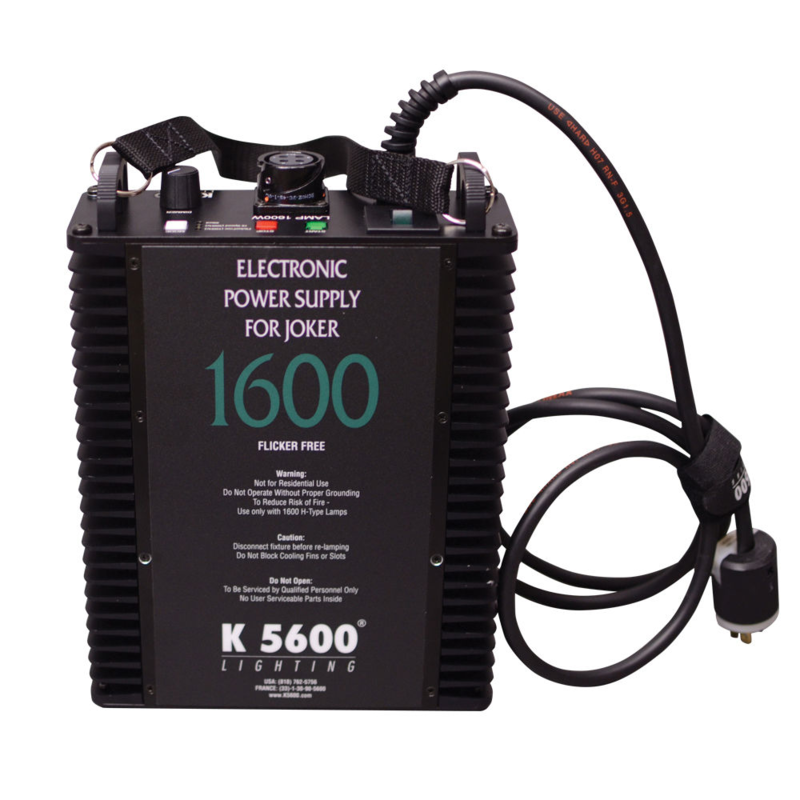 Although the Joker 1600 and M18 both plug into a standard 120v house outlet, they each pull different amperage. 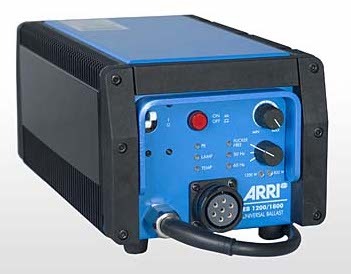 The maximum rated amps of an ARRI M18 is between 19-20 amps, while the 1600w joker pulls only 15.5 amps. While that difference may not sound much, that 4 amp buffer will keep your light on and protect you from line loss, resistance from aged copper and a random appliance you didn’t realize was on the same circuit. The M18 was designed in Europe and works perfectly on on house power when the output is 220v. But in the USA, a 20amp circuit is too close for comfort with a M18 ballast. When making a decision about which light is best depends on the limitations of your location and the time allotted for lighting. 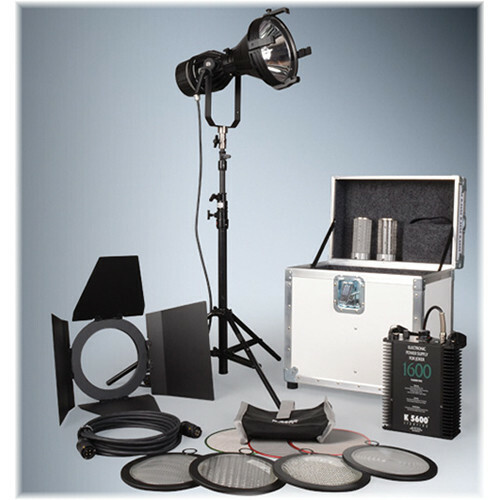 The Joker 1600 kit travels in one compact case measuring 20” wide x 21” tall x 13” deep, and weighing 60 pounds. 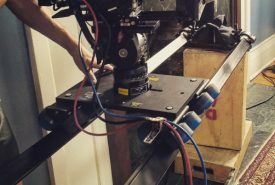 One set lighting electrician can bring a 1600 joker to set in one trip (case in one hand, baby stand in the other), while an M18 typically takes two trips (twice the setup time) or 2 electricians to setup. The Joker works with a baby stand vs. the M18, a junior stand. A joker kit with baby stand packs neatly in a van and travels well on the plane. When speed, mobility and size is important, the joker 1600 prevails here as well. See our other blog post about the 1600 Joe-Leko! 3. Output and Beam Quality. In this case the M18 technically prevails, but not by much. 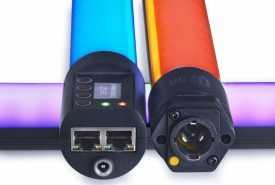 The output of the 1800w globe is approximately 10% brighter and the M-Seres reflector design creates diverging rays to produce a crisp shadow and broader throw compared to the Joker 1600. The joker offers the classic lens based setup as well as a zoom beaker, but I find the zoom beaker makes the light very front-heavy. So I prefer to stick with the classic lenses (med, wide, stipple & fresnel) and standard parabolic reflector. 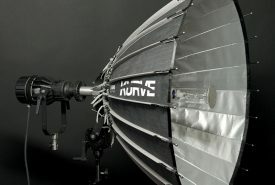 Glass lenses in combination with the traditional parabolic reflector will typically offer brighter levels on narrow throws (checkout the photometrics of the M18 compared to the AS18 (or ARRIMAX 18k vs. standard 18k HMI PAR). The best choice depends on your application. If you need a small footprint and a fast crew, the 1600 is best. If you need cleaner shadow lines and a wider beam, the M18 prevails. 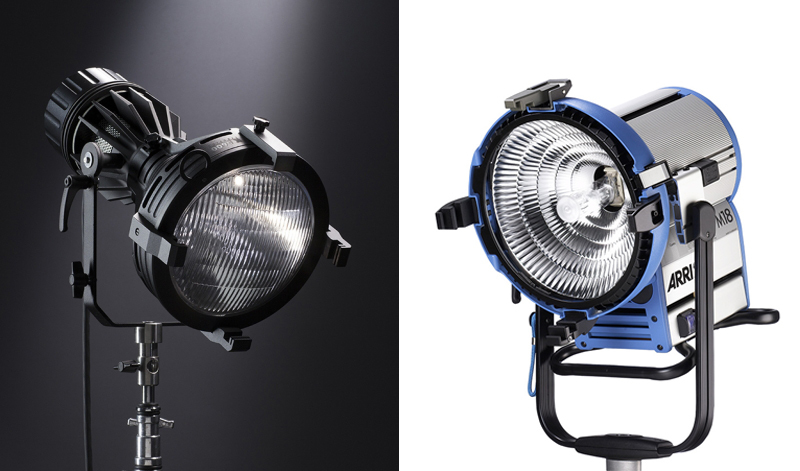 Ultimately, when comparing both lights side-by-side these differences are all minimal. A skilled gaffer can work with both choices equally well. And that is the point. The Joker 1600s are not as popular, but they should be. 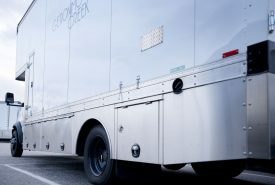 They are a better on-location light and is a more reliable choice when power and time is limited. K5600 also makes a Joe-Leko adapter for the 1600, also available from Geronimo Creek.